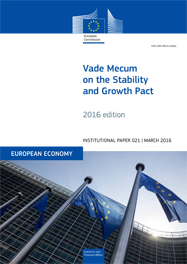 A handbook on the procedures and methodologies used to implement the EU’s Stability and Growth Pact. Institutional Papers 21. March 2016. Brussels. PDF. 236pp. Tab. Graph. Free.